Kathleen Rose Photography Blog: Colorado Engagement Photography | Suzie + TJ's Engagement Session Published On-line! Colorado Engagement Photography | Suzie + TJ's Engagement Session Published On-line! 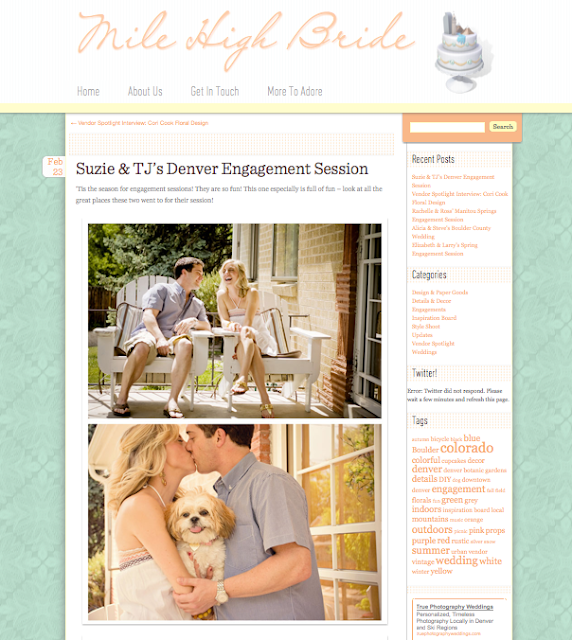 So if you haven't already heard of Mile High Bride - check it out. 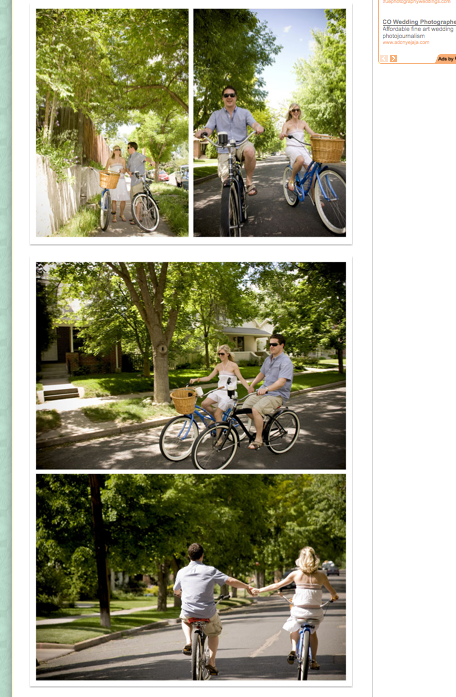 It's a blog dedicated to all things wedding and Colorado - love! Today they published an engagement session I submitted- double love! This is from Suzie + TJ's engagement session last year - when it was warm and before Suzie and TJ became husband and wife! Thanks Mile High Bride and to Suzie and TJ for making this session so fun!